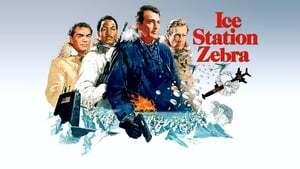 A top-secret Soviet spy satellite -- using stolen Western technology -- malfunctions and then goes into a descent that lands it near an isolated Arctic research encampment called Ice Station Zebra, belonging to the British, which starts sending out distress signals before falling silent. The atomic submarine Tigerfish, commanded by Cmdr. James Ferraday (Rock Hudson), is dispatched to save them.